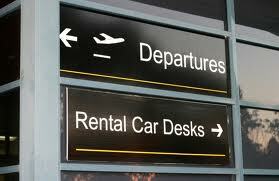 With the holiday season upon us, you may soon find yourself renting a car. Before you go to the counter to pick it up, think carefully about one of the first questions you'll be asked: Will you be purchasing rental car insurance? Many consumer reporters will say to never buy it. But I think that advice is shortsighted. Paying a few extra bucks for rental car insurance may be one of the smartest ways to spend your money. But before you do, you should first call your current insurance agent and ask how your existing insurance covers damage to a rental car and the loss of personal property. If your auto insurance includes collision and comprehensive coverage, then this should also cover the rental car within the limits of your current coverage. Also, if you charge the cost of the rental car on a credit card, your credit card may include rental car loss damage waivers as a cardholder benefit. But don't stop there assuming that because you have auto insurance with collision and comprehensive coverage, or charge your rental car on a credit card, that rental car insurance is a waste of your money. Here are my three reasons why buying rental car insurance can be worth it. -- In many states, auto insurance policies do not pay for the rental car company's "loss of use." This is the cost the rental car company incurs due to the loss of rental fees while the car is in the shop for repairs. If you want to cover this, then you need to buy the rental car insurance. -- Are you planning to drive the car out of the country? You need to check the insurance limits required by those countries and you may find that your current insurance does not meet the limits. -- Another thing to consider is coverage for personal effects. When traveling with digital cameras, laptops and iPhones, there is a greater chance something will get lost or stolen. The costs to replace these items can really add up. If you have homeowners or renters insurance, particularly the form that includes replacement value coverage for personal property, then your current insurance should cover this. But many folks have increased their deductibles to $1000 or more to offset rising insurance costs. If you are in that position, you have to pay for losses up to the amount of the deductible. Only a loss in excess of the deductible will be covered by your existing insurance. Given the relatively low cost of personal effects coverage offered by rental car insurance, which averages about $2 a day, the additional insurance is worth it. Still not convinced? Then think about this. If you file a claim on your personal auto insurance policy for an accident you cause with a rented car (which may be more likely because you are driving an unfamiliar car in an unfamiliar location), your current auto insurance company may mark you as a higher risk driver. The result is an increase in your auto insurance premiums. It may be better to pay for rental car insurance for the few days rather than risk years of higher auto insurance premiums.